Usually people go to shopping malls and centres to shop something or to grab a coffee or watch a movie. However, in the case of International City Centre Mirdif, Dubai, things are slight different because here shoppers can savour delicious food as well apart from doing numerous other things. 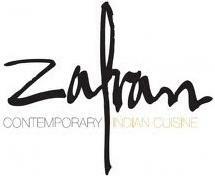 The eatery that draws more attention in this complex is called Zafran Restaurant, which is well-known for its celebrity chef, who cooks authentic Indian and Pakistani cuisines at this establishment. These dishes of Zafran Restaurant are absolutely lip smacking and are also high in quality, as they are delicately cooked. Therefore, despite having a distant location from the centre of the city, several Asian food lovers often come to this eating place to bask in the ethnical flavours and spices of the mystical land. Zafran Restaurant is like a jewel in the crown of International City Centre, as it serves best Indian and Pakistani food in this complex. The celebrity chef strives really hard at this venue to produce most luscious and mouth-watering traditional dishes of sub-continent. Butter chicken, murgh shorba, daal bokhari, kali mirch murgh, aloo tiki, zafrani prawns, butter naan, garlic naan and lot more delicacies are included in the enticing menu of this restaurant. In addition to this, their staff provides prompt service, which makes the dining experience at this bistro absolutely superb. Guests can also take pleasure in the wonderful views of surroundings, if they sit close to the window at this restaurant. Zafran Restaurant opens daily and its opening hours are from noon till 1:00 am. 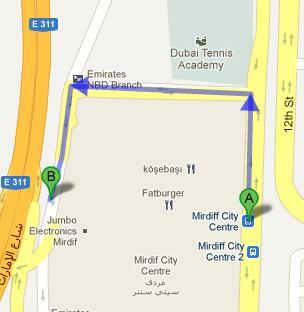 No metro station is located within the 2.5 kilometre radius of Zafran Restaurant. So the best way option to reach this eating place is either by bus or car. Head north from this bus stop, then make a left turn and after that take another left turn in order to get to the destination. See the directions from the map.